Whilst there may seem lots of words our terms and conditions of business are all about making our relationship with our clients transparent and protecting both parties. In all honesty we cannot remember a single event in the last 5 years where we had to refer to them so we hope by developing a very positive working relationship with you that if you do have an issue you just pick up the phone and we chat it through. In these terms and conditions the term “company” means Powerboat Training UK Ltd/Aquasafe Powerboat School, its Instructors or any sub-contracted person. The term “the client” shall mean each person in whose name the course is booked. Only the Directors of the Company can alter any aspect of these terms and conditions of business and any changes made are only valid if they are provided in writing. Instructors are not empowered to agree to alter any aspects of these terms and conditions of business. If the company is unable to meet any booking through circumstances beyond its control, the client(s) may be offered another booking at the company’s discretion or an alternative booking offered with another company. If the company is unable to offer the client(s) or the client(s) are unable to accept such an alternative booking, the company will refund any deposit or course fee paid. The company’s liability is limited to this. The company will decide how and when any course is run and whether or not the course will go out onto the water. The company’s decision is final. In the event of you wishing to cancel your place on a course the following terms apply: Greater than four weeks notice: Course fee repaid less £50 administration charge; Between four and two weeks until your course: Full cost of course due unless places can be ‘resold’ in which case liability is limited to administration charge. (Note: Whether we are able to resell your place may not become clear until the date of the course) Less than two weeks notice: Full cost of course due. In the event that you need to change the date of your course then we will do our utmost to accommodate the change. If you request a change of date we can only accommodate this if we can ‘resell’ your place else the cancellation terms referred to apply. In the event that you fail to attend your course then you are liable for the full cost of your course irrespective of the reason you cannot attend. All of the practical courses we run require a certain level of physical activity and the waves and wash the vessels may pass over/through will create impacts on your body. If you have any concerns about your ability to take part in the course due to health or fitness reasons you should consult with your doctor and consider whether the course is appropriate to you. The client remains the skipper and legally responsible for the safe management of the vessel at all times (including when under tuition) and will not hold the Company responsible for any loss or damage. Where marina fees/short stay charges etc are incurred these are the responsibility of the client. The client will ensure their boat is in an appropriate mechanical state for the course to be run. Where a course needs to extended due to delays resulting from problems with the vessel additional time will be charged at our standard rates. Where we need to provide a vessel to replace a client’s own boat on a course then this will be at our standard charter rates. A client who seeks ‘own boat tuition’ warrants that their craft carries equipment as detailed on the company’s website and that the vessel is fit to proceed to sea. Clients warrant that that any of their own equipment that they choose to use on a course (e.g. a lifejacket) are serviced in accordance with manufacturer’s recommendations and have been checked prior to attending course. Clients provided equipment such as waterproofs etc are responsible for the safe return of them at the end of each day. Damage to any item beyond normal wear and tear may render the client liable to either pay for the item in full or to pay an amount to the company as compensation (as determined by the company). Individuals intending to obtain the International Certificate of Competence (ICC) are advised to check the RYA website (www.rya.org.uk) to ensure that they satisfy the RYA rules for eligibility for the issue of this certificate. The Company cannot be held responsible if an individual books a course with a view to subsequently obtaining an ICC but the RYA rejects their application. 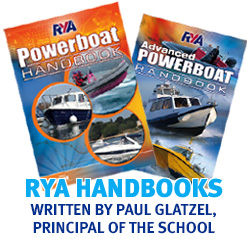 Children’s Powerboat Courses: All certificates issued will be endorsed in line with the RYA requirements which are usually detailed in the relevant Logbook. All courses require you to reach a certain standard at which the relevant certificate can be awarded. Certificates can only be awarded to those reaching that standard however if for whatever reason further time is required to reach the standard we will agree with you an ‘Action Plan’ to help you achieve the required level. You consent to any photos and videos that are taken of you during training being used in publicity material/websites/social media by the company and the RYA. You also consent to any feedback given to company being used in these same places. Complaints procedure: In the unlikely event that you are concerned with any aspect of your course please raise your concerns initially with the Instructor(s). If this does not resolve the issue then please contact the Office on a weekday to discuss your concerns with a Director. If this does not resolve the matter please write to the Centre Principals Paul & Viv Glatzel. If you do not consider the issue resolved at this stage please contact RYA Training. If necessary your details may be passed to the RYA in the context of a complaint but these details will only be used by the RYA for the purposes of the complaint. The school is insured, however the client is recommended (if they consider it necessary) to take out their own insurance against cancellation, damage or loss of personal effects, death or personal injury. The RYA Approved Training Centre, RYA Instructors, RYA Trainers & Coaches or as agreed do not accept responsibility for any loss, damage or injury suffered by persons and/or their property arising out of or during the course of the activities whilst training and/or coaching and/or instructing and/or delivering unless such injury loss or damage was caused by, or resulted from negligence or deliberate act. Contacting you: We shall also include your name and address on our mailing list. If you do not want to be contacted by us please tick here ____. Your details will never be passed on to another company.